On 6th March, 2018, the president of Ghana, Nana AkufoAddo together with some Christian leaders cut the sod to build the National Cathedral of Ghana. According to the president, as Ghana turns 60 years, it needs a befitting place to praise and worship the God Almighty who has blessed the nation. This cathedral has a sitting capacity of 5000 people, baptistery, chapels, music schools, art gallery, and a museum dedicated to the Bible. The architectural design was done by a Ghanaian, David Adjaye and his design reflected the various ethnic diversities in Ghana. There are various controversies regarding the funding of this multi-million dollar building with some suggesting it could cost the state US$ 100 million while others think the cost will be borne by private individuals who believe in the project. Although there are opposing thoughts to the cathedral among many people especially the opposition in parliament, a private fundraising dinner was held on 28th December, 2018 for the project. This cleared my doubt of the state funding the project. Again, my doubt was completely vanquished when the chairman of the fundraising committee Mr. Nicholas Duncan Williams made it known to the general public that a ticket will be sold at US$1000. At the dinner, the president of Ghana, Nana AkufoAddo privately pledged GHc 100,000 to support the construction of this building although I knew behind the scene state will be involved because there has always been an “invisible hand” in political economy. If the state has no hand in the building of the cathedral, then there is no argument on this subject matter. However, if otherwise, then there are many reasons why this National Cathedral should not be built. This is because the state should not be the sponsor of a particular religion. In the exchange of thoughts on this matter, the supreme court gave the green light to the construction of the cathedral by ruling in favour of the state when Hon James Kwabena Bomfeh Jr petitioned the court to stop the government from its involvement in the National Cathedral. Contrary to the government’s position thatthe state is not involved, the supreme court’s decision makes it clear that the state is involved in the building of the cathedral. I am a respecter of law but I think the supreme court got it all wrong this time and my reasons shall be elaborated in the subsequent paragraphs. I do admit that as democratic state, there are others like the supreme court who support the state’s involvement in the building of this cathedral. 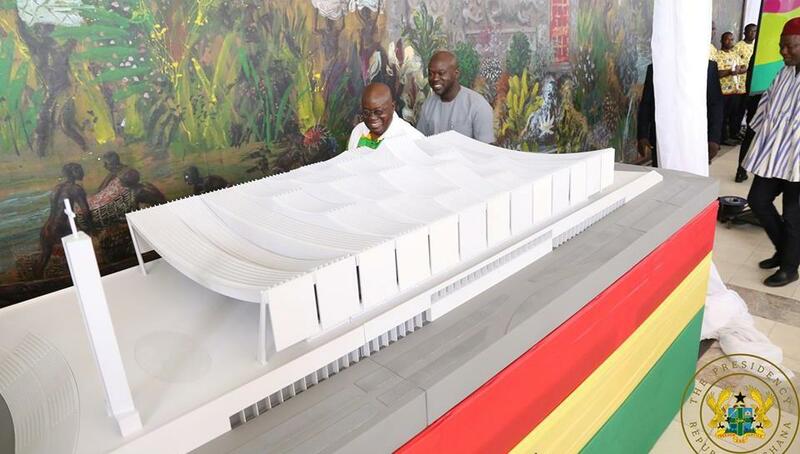 They based their emphasis on the glorification of God, using it for Christian dominated state events, promoting tourism and others even support it because the Ghanaian architect behind the edifice.Although their reasons may sound rational if they are given the opportunity to expatiate, my view is that the state should not be involved in the building of the cathedral especially if it is state sponsored. My stance on this matter is based on the following reasons; constitutionally, economically, health and spatial planning, which I shall expatiate in the preceding paragraphs. The 1992 constitution of Ghana guarantees the right to religious belief among its citizens in Article 21 (1) (c). The same constitution in Article 56 makes it clear that Ghana is a religious nation, but at the same time secular and for that matter it prohibits the elevation of any religious organization into a State religion.This means the that although the constitution respects individual rights to join any particular religion, it forbids the state to recognize any other religious organisation over the other. Therefore, the state leading the construction of the building means that the state recognizes Christianity over other religions. This attitude of the state makes other religious organisations feel less important and this might in long run appeal other religions to start demanding their own as I have heard Traditional African Religious believers have also started calling the government to build their National Shrine for them amid the scarce resources of the State. Therefore, building this cathedral will call for various agitations from other religious groups demanding their rights to their own national edifices. Economically, it is not rational to build this cathedral. The location proposed for the building already has housing infrastructure that houses some judges. The government is pulling down these buildings which some media houses put at 21 ultramodern apartments which are less than 5 years after construction. These buildings could cost the state millions of Ghana cedis. Another economically irrational decision is the renting of US$ 2500 per month apartment for each judge that used to stay in these demolished infrastructure. The question is with these limited resources of the state why should state waste much resources to complete one edifice. The cathedral just like other state monuments and infrastructure would not be able to pay of the amount cashed into its building. This argument is premised on our national stadia, museums, theatres etc, which are in bad state because there is little money to renovate them. Looking at the cost benefit analyses, I believe the state is incurring cost to attract future cost of maintenance or renovations because like the other state infrastructure, tax payers’ money will be continually used to maintain it. If this assumption holds, then economically we are wasting another scarce resource to incur future cost as stipulated earlier. Arguing on the basis of health conditions, I think the cathedral should not be built. Health is defined by WHO as a complete state of being complete physically, mentally and socially. A health citizenry is a productive nation and for that matter putting an edifice at an area that is congested with already high volumes of human and vehicular traffic will lead to high levels of stress among the productive workers who plight that route. The Accra Metropolis has over the past years recorded higher cases of cholera. However, many fail to understand that congestion and overcrowding lead to cholera especially in Ghana. therefore, congestions caused by this edifice will increase the cases of cholera in the Accra Metropolis. Also, I think putting this cathedral at an already overcrowded area will increase time spent on the way to work, and back home. This ultimately reduces sleeping hours and working hours which finally slows their productivity at work. Spatial planning has taught that planning should move from the core to the periphery. The core is the central business area while the periphery is the peri-urban areas. This widens the city and opens up new markets. Planning and putting infrastructure at the periphery creates a new core on its own, developing the area and improving the livelihoods of people who live at these areas. I do not support the state’s involvement in the building of this cathedral. However, doing away with my bias, the state can use this edifice to expand infrastructure especially good roads to peri-urban areas the cathedral is sited. For example, building this infrastructure at Kasoa will attract hotels, malls, banks etc to serve those who will make use of the building. There are others who argue that all state monuments should be sited at the same area because some countries have it so but those people forget to add that it was in their spatial planning. If Ghana had planned for this, I think a larger space would have been left in the city centre for it. Ghana failed to plan spatially so the state must not distort the assumed plan that has been accepted by all. Ghana can use this cathedral to develop the country if it so wishes but not in the centre business of the town. In conclusion, the building of the cathedral may have some importance to the nation and people who believe in it. Those who believe it argue that God needs a national cathedral to be glorified, the architect being a Ghanaian must pen his signature in the country. However, it must be noted that it is economically unwise to build the cathedral because it feeds into wasting of scarce resources. It also promotes a particular religion over the others which the constitution is against. It may increase unhealthy living conditions and lastly, it is spatially unwise to congest the core of a city.